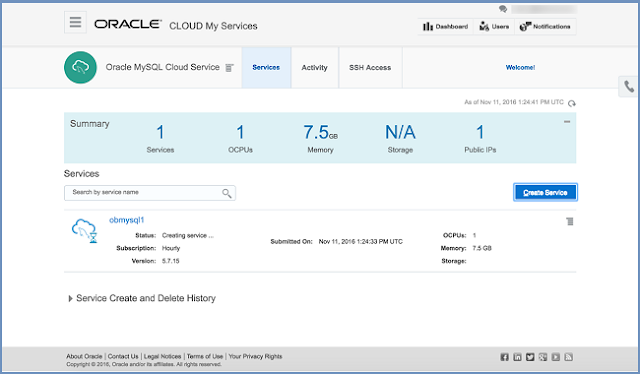 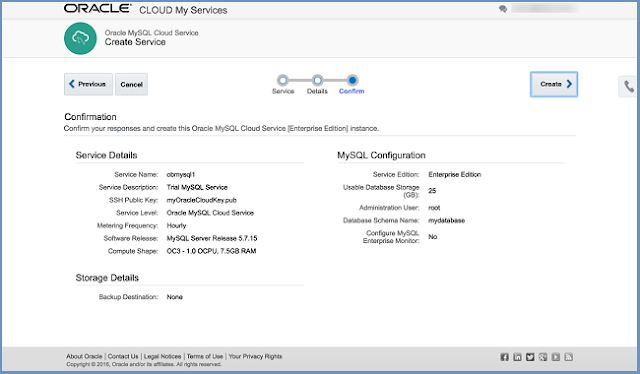 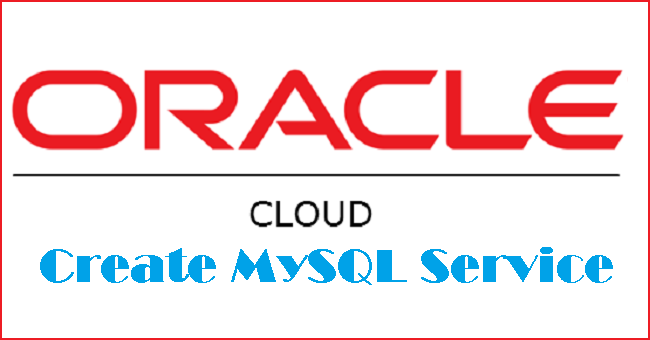 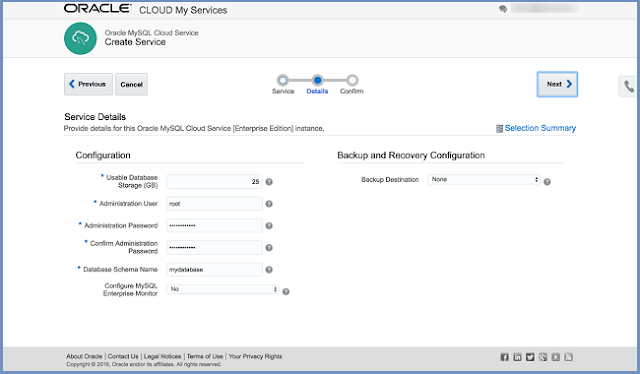 The Oracle MySQL Cloud Service let you quickly deploy MySQL databases on the Oracle Public Cloud. This guide will walk you through the steps to quickly create a MySQL cloud service using Oracle Cloud. 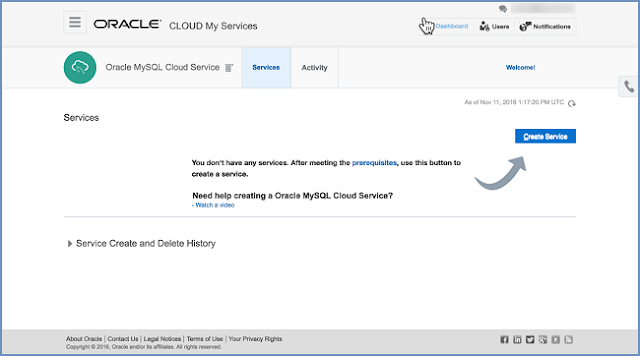 If you are okay with the details on the confirmation page, click the "Create" button. 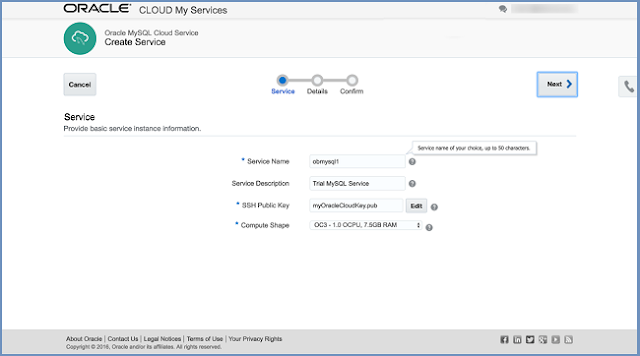 Once the service is created the hamburger on the right of the service allows you to configure SSH access, define access (firewall) rules or delete the service. 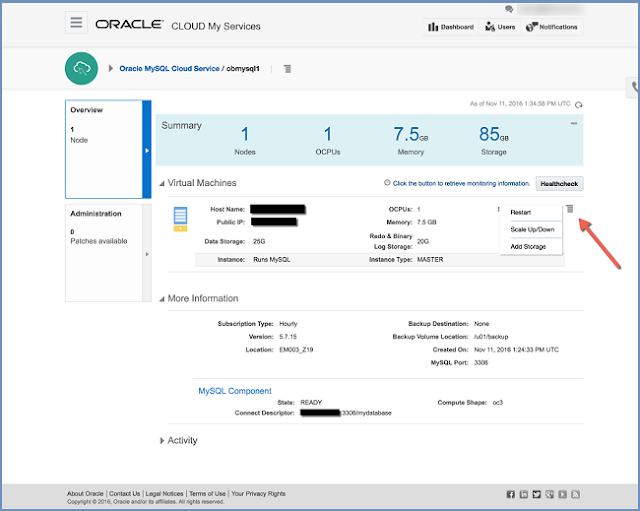 Clicking on the service name allows you to drill down to the service details.